If you’ve ever had the mindset that a) Singaporeans aren’t funny, and b) girls aren’t funny, then this girl will prove you wrong. 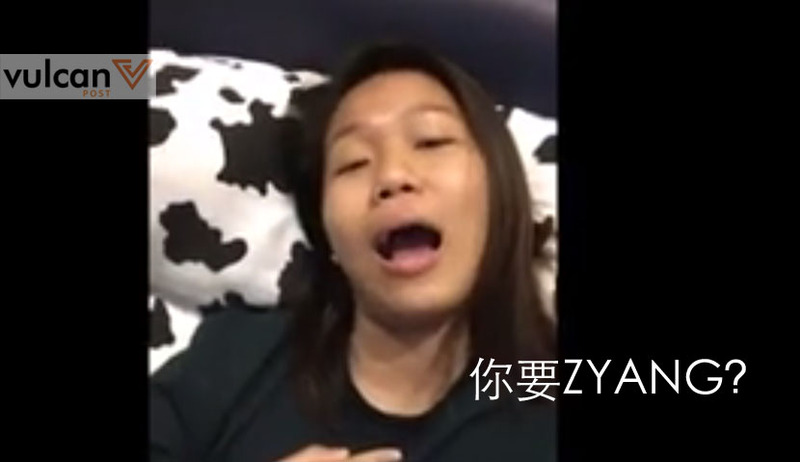 Joyce Chua, or as her friends call her, Ko Hwee, shared her Snapchat Story in video form on her personal Facebook page. The pictures and videos shared by the 20-year-old Singapore student were taken in her bedroom and directly addresses her friends, but is clearly made of viral material and will leave you cracking up and wanting more. Joyce has given us permission to share the post on our page, to our delight. How this video only has 760 views on Facebook (at time of publishing) we will never know. Well it certainly made me laugh — I’ve watched this video 5 times in the last hour, and it’s still not old. For those who have a Snapchat account, her username is shoeeeyy. You’re welcome.